Our customers tell the real story. Excellent job in all aspects of your work. Thank you and beautiful work. Keep doing exactly what you're doing. 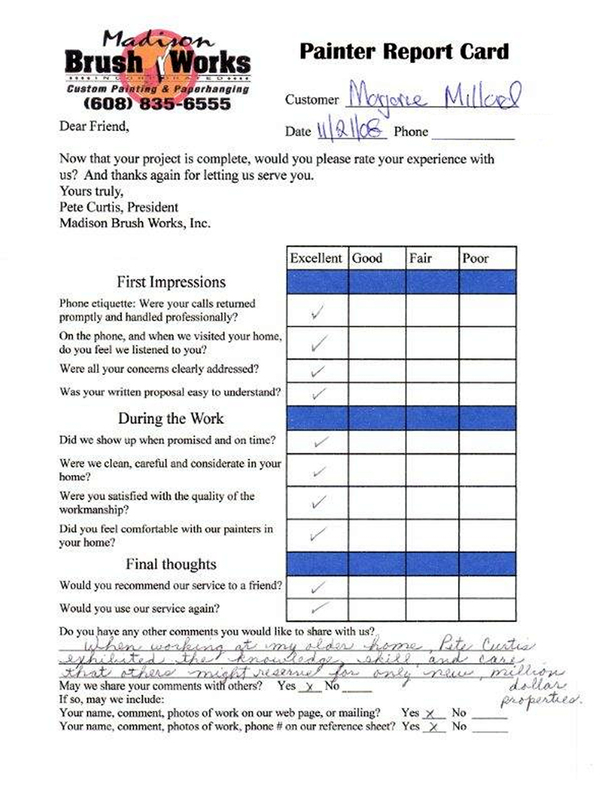 You've got a highly professional operation with outstanding service, quality and value. 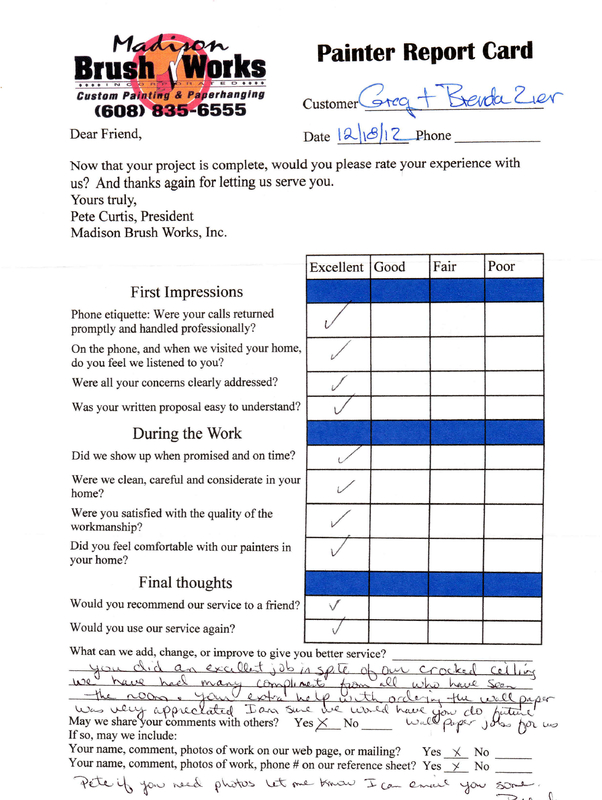 Couldn't have asked for better service or workmanship. 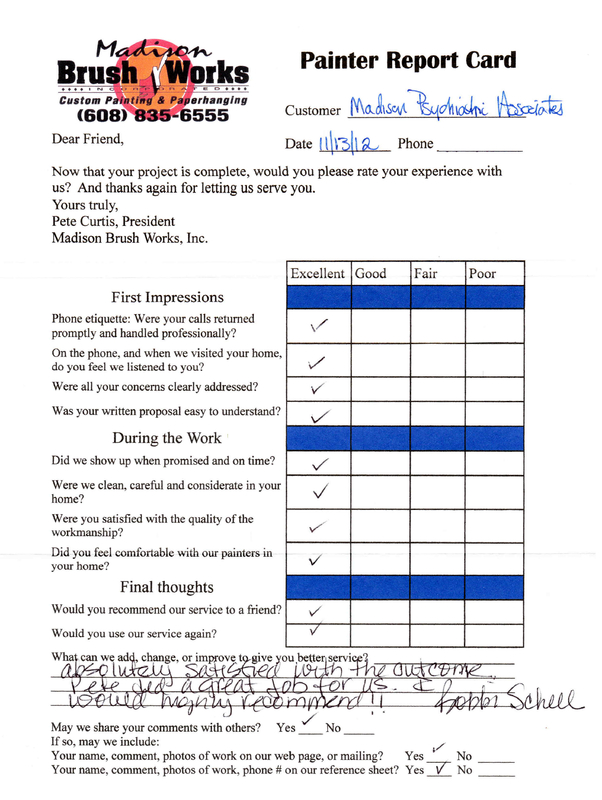 You were very professional and courteous and did an outstanding job. 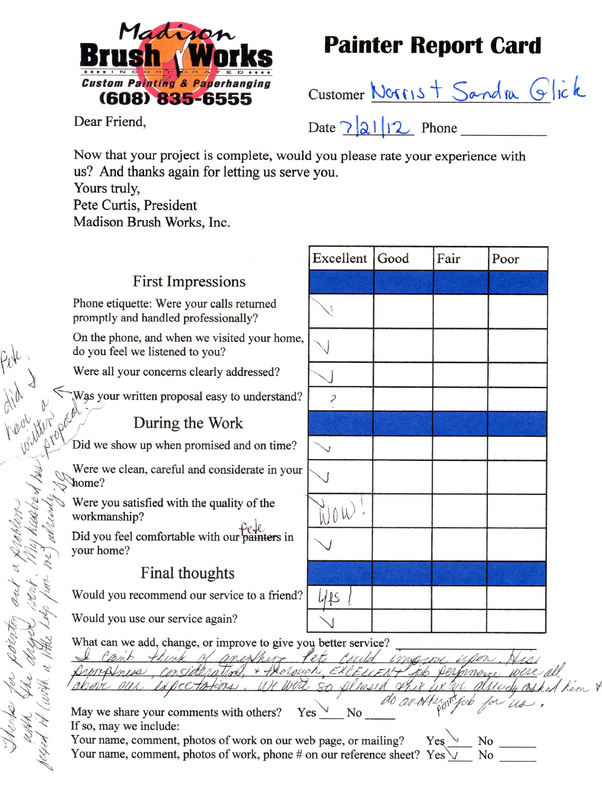 You did an excellent job in spite of our crooked ceilings. We have had many compliments from all who have seen the room. Your extra help with ordering the wallpaper was much appreciated. I am sure we would have you do future wallpaper jobs for us. We were absolutely satisfied with the outcome. Pete did a great job for us. I would highly recommend! When working at my older home, Pete Curtis exhibited the knowledge, skill and care that others might reserve for only new, million dollar properties. 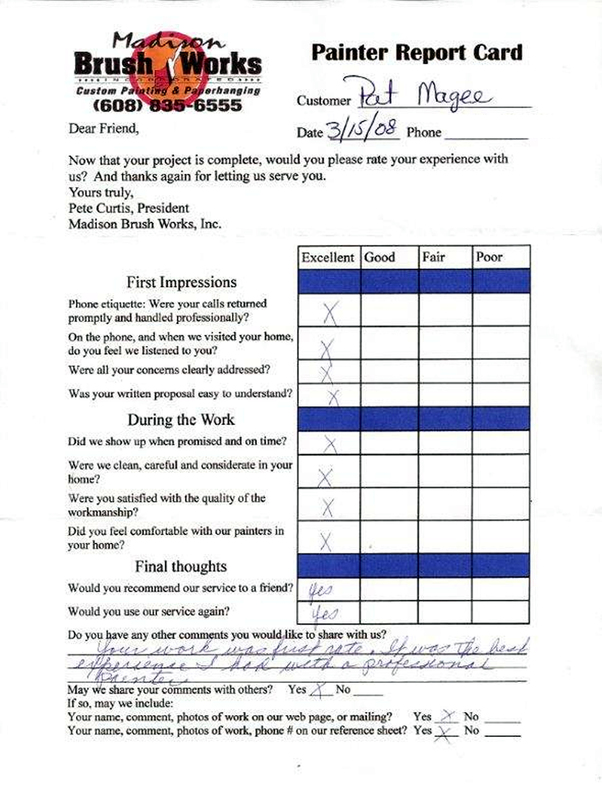 I thought your work was excellent and highly professional. I thought Pete was extremely sensitive to my issues. Thank you. Your work was first rate. It was the best experience I had with a professional painter. I can't think of anything Pete could improve upon. 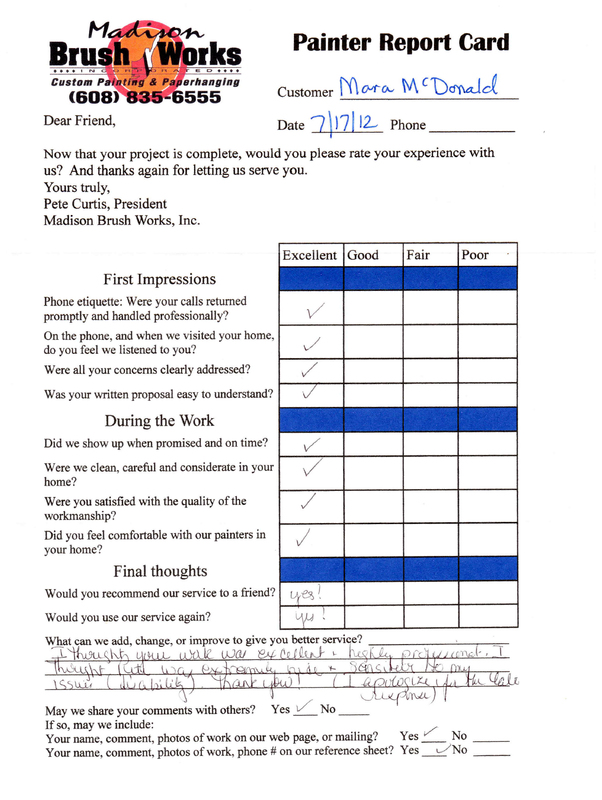 His promptness, consideration and thorough excellent job performance were all above our expectations. We were so pleased that we've already asked him to do another paint job for us.